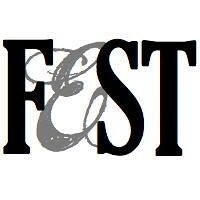 Ladies & gentlemen, it's official... FEST has reached 100 followers! I can't thank you enough for your support during FEST's first month of life. I hope you've enjoyed reading FEST as much as I've enjoyed writing it. This first month has been wonderful, but I'm even more excited for the many, many, many more months to come. As promised, it's time for our first giveaway. 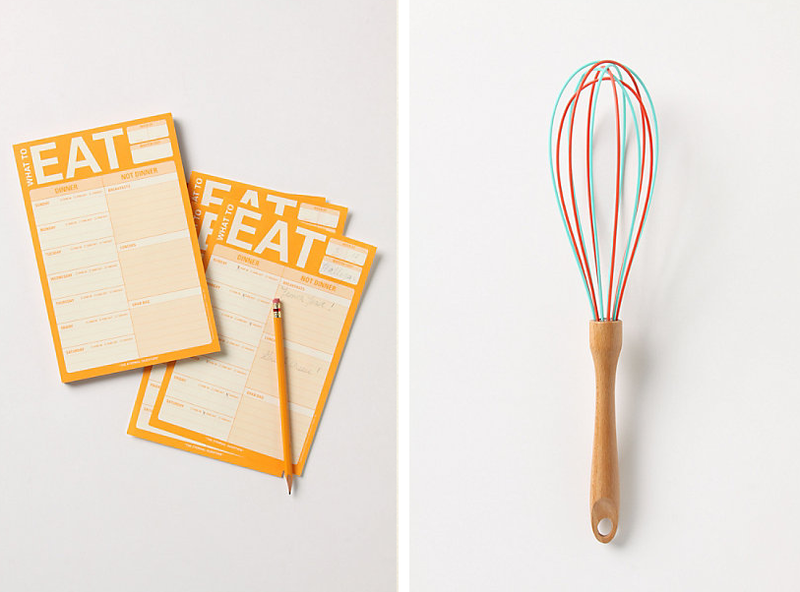 This lovely What To Eat Notepad and Magic Whisk from Anthropologie can be all yours if you follow the instructions below. Link to this giveaway on your favorite social media site and tell me where you shared. Update: This giveaway is closed. Congratulations to our winner, Heather! I'm a follower! Maybe more recipes? I love recipes! I follow ... and I love your style posts. :-) Congrats on 100! Thanks for the giveaway! I'm a FEST follower! I love the recipe posts! Oooo. I'm a follower! Cute giveaway, girl! And if you want to do a button swap, I would love to put yours up! I love your blog! Thank-you for the give-away, I am a new follower. I'm a follower! Love this giveaway! I really love how you have variety on your blog! I'm a follower! Already love the blog :) No need for change! Following the blog through GFC and I'm still new so I don't know what I'd want to see more but I love the food and outfit post!! Added your button under my free sponsors! I'm a follower :) you are adorable and I added your button to my blog ;) so glad your sis put it on her blog! I'm already a follower of this blog. Wow, how did you get 100 followers that quickly? I've had my blog for just over a month and I have 8. Yikes! I feel like your blog is so versatile already, but I like seeing wishlists (clothing, food, household products, etc). Congratulation! No wonder you have so much readers very fast, they must enjoy your blog like i do. I have been your follower, i would like to know more your travel and your wardrobe challenge outfit as usual. Congrats on meeting your first 100 followers goal - that rocks! Since I'm new here, I'm not too familiar with what you share, but I'm going to say FOOD, more FOOD...but I can never get enough ;) thanks for the chance (loooove anthropologie!). I am a new follower! What a cute giveaway! I am all about the food, so desserts and healthy dinners are my favorite posts! Yay for a great giveaway and congrats on reaching and going past 100! We are your new followers Her Late Night Cravings (Jayme and Mendi). I'm a follower and i always like to see healthy recipes!